In all predictions about “Oscars” this year “Leading Actor” is the hardest category. This year is full of exquisite male performances in great films and to choose the winner was rarely harder than it is this year. 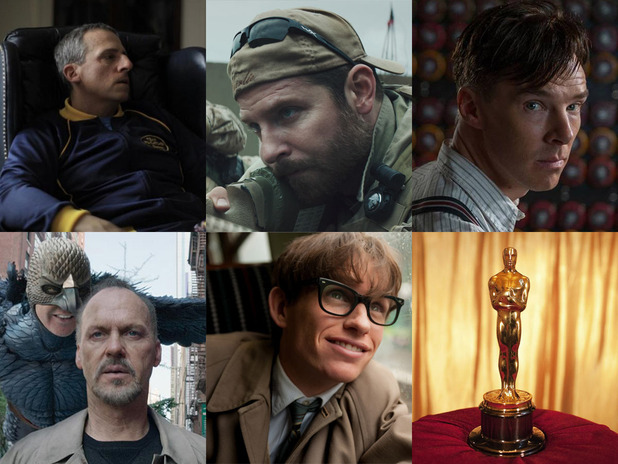 Bradley Cooper, Benedict Cumberbatch, Eddie Redmayne, Michael Keaton and Steve Carell are nominated for the Award and all of them were brilliant in the roles they played. Two great performances weren’t among the nominees, Jake Gylenhaal and David Oyelowo and in my opinion at least one of them should’ve been here. Bradley Cooper: Bradley was impressed with the book, he produced the film and he played Chris Kyle on the screen. He was wonderful Chris Kyle and their physical resemblance was stunning. I don’t want to enter all of political discussions again so I’ll say that Bradley portrayed the soldier’s character to its core. We can see the man who doesn’t question his orders, who does what he’s told and he feels the best when he has his purpose. I wasn’t impressed with “American Sniper” as some other people were but I was impressed with passion Bradley Cooper invested into his hero. That’s something which deserved to be honored. However, David Oyelowo and Jake Gylenhaal were even better than that and he is the nominee that I would replace from the list. Benedict Cumberbatch: Well, Benedict Cumberbatch was “Imitation Game”, but he wasn’t so close to real Turing as Cooper was to the real Kyle and he wasn’t so convincing in his traumas as Carell or Redmayne. His performance was a bit one-sided. Shallow, even, in comparison to other nominees. I enjoyed “Imitation Game”. The title of my review is “Benedict has won The Imitation Game” but I still don’t see him as a legitimate candidate this year. He’s great in his performances of deranged geniuses, but this one is a bit pale in this competition. Steve Carell: Carell played John Du Pont with a lot more “shades of gray” (to be in the trend) in his performance. His maniacal obsession with Mark Schultz, his obsession with “greatness” and his delusional definition of success was (with Mark Ruffalo performance) the best part of “Foxcatcher”. I have a lot against the storytelling in “Foxcatcher”, but Steve Carell deserved his nomination and he was the most likely nominee of all whose performance will cause me bad dreams. He wouldn’t be alone in that regard if Jake was here, but one can’t always get what one wants. Michael Keaton: “Keaton shouldn’t even act in “Birdman”, he could play himself”, said my friend after she read the synopsis of the movie. I think his performance in the movie was so powerful because he really didn’t need to think hard how his character feels some of the situations he was in. There is one particular scene with Japanese when they have the interview, which probably resembled some of the scenes Keaton had in the period after 1992. It would be wrong to claim, on the other hand, that the “Birdman” is only about Keaton’s “Batman” reference and that his performance is good only because of that fact. It isn’t true. His performance showed a large range of emotions, willingness to adapt to mainstream and theatre-style acting and he was fully engaged in all the little things which made “Birdman” as great as it is. You could argue that we could say the same for Cumberbatch, Cooper or Carell, but Cooper and Carell had simple-minded performances, their characters didn’t have the character depth which Keaton had and even if their films were depending on their performance, neither of them was a match to another strong performance in the movie on the same was as Keaton was. Keaton had Norton and their performance was at every level just like in the fight of roosters the matter of will and pride: Who will do better? Who will be stronger? Whose presentation will be truer to the screen? In that rootless fight Keaton won and Cumberbatch, Cooper and Carell haven’t had such strong competition within their movies. Keaton is for me the proof that your own colleagues can pull you farther in your performance than anybody else. Norton and Keaton were so good together that I would like to see them on the opposite sides again sometime. Keaton’s performance was “Oscar” worthy, but he still isn’t my first favorite. Eddie Redmayne: Eddie Redmayne is my first choice this year. In his magnificent performance as Stephen W. Hawking, he managed to give us the glimpse into the intriguing life of one of the most important people in the second half of the twentieth century. The fact that Mr. Hawking is disabled made the story fruitful for the same kind of empathy and sugar coating we could see in “American Sniper” or “Unbroken”. However, Eddie Redmayne managed to give us the performance in which such moments were on the minimum and he managed to find the sweet – spot between empathy, admiration and dignity which is today so easily missed in Hollywood biographical stories. In his performance there is no overacting, there is no underestimating his audience. Sometimes, only his expressions were enough for explaining us the events on the screen. As Keaton, he too had the matching performance on the other side of the plot. Felicity Jones as his wife was brilliant motivator to do his best to make great physicist appealing to the screen. He was not only genius nor only disabled in the movie. He was not even the mixture of both. 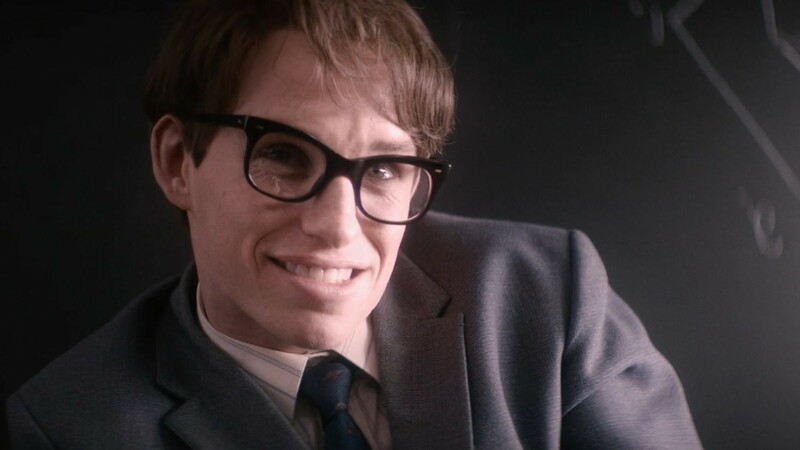 For me, Redmayne’s performance painted the human side of Hawking and for that alone he deserves the Award. This category is, as I said, hard to predict. Maybe the hardest this year. All performances from all of the nominees have merit, have strength. Keaton and Redmayne are very, very close in my book. Carell is dark-horse in the race and even Cumberbatch and Cooper have reasons to believe that they can win. What will be the decisive factor, it’s hard to tell? Will it be patriotism (American Sniper), compassion to homosexual harassment and long overdue honor to the forgotten genius (Imitation Game), fear of the fact that deranged psychopath could ever train anyone, let alone US Olympic team (Foxcatcher), honoring alive genius who against all odds, succeeded to live, love and even cheat on his wife (Theory Of Everything) or the man whose career was marked with “a man in tights” superhero costume but he prevailed in proved that in the acting job you really never know if you don’t try to do “something completely different”? We’ll have to wait and see, but when I consider that Lou didn’t come into this category to visit us from his “Nightcrawler” walks and that Martin Luther King Jr. speeches are still resonating in “Selma” stronger than in LA, we can be proud. This year is one of the best in the last few years when male performances are considered. Treat of the Awards. “Leading Actor”, ladies and gentleman.